Live with the team, care for the bears - prepare their food, put out their meals, make their toys and yes...clean up after them. It’s a true bear care experience. 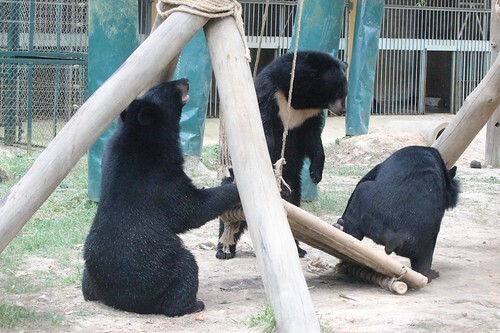 Animals Asia is launching a volunteer bear care experience pilot at its sanctuary in Chengdu, China where it cares for 118 bears rescued from the horrific bear bile trade. Those taking part will get to enjoy the full experience of sanctuary life. Included among daily tasks is the vital job of monitoring bears in enclosures that would also mean time to take photos as a lasting souvenir of your trip. This five-day chance of a lifetime will allow you to see for yourself the rehabilitation of the rescued bears and play a part in their ongoing high standard of care. The first volunteer week will take place 23 to 27 May and again 12 to 16 of September. The cost of volunteering includes all food and accommodation as well as a donation towards the ongoing cost of caring for the bears. You can download more information here. Places are limited so be sure to sign up quickly to avoid disappointment. “For many years now we’ve had people pleading to be allowed to volunteer at the sanctuary. I’ve lost track of how many times people have approached me saying they’d happily shovel you know what, just to be a part of our work and to do their bit to help. 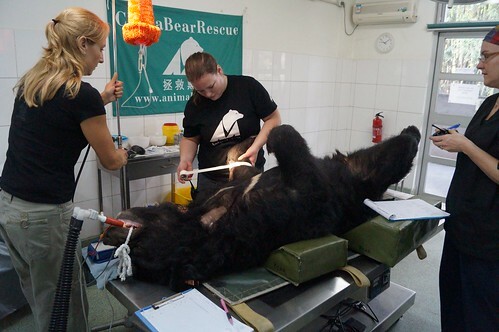 Now we are able to give people that opportunity - and a whole lot more – including hands on work, lectures about bear management and veterinary care, and the fascinating side of Chinese culture. “One of the great pleasures of sanctuary life is to see the bears run out of their dens every morning. 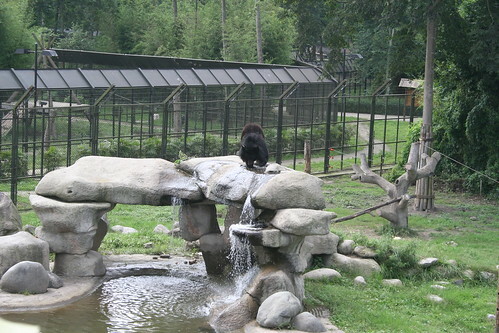 Their food is prepared and hidden around their enclosures to encourage them to forage. Our volunteers will make the food, hide the food and watch as that 9am bell rings and the bears rush out to enjoy another day in the sunshine. “Later, once they’re back in dens for the evening we need - as ever - to pick up their pieces. So whatever they’ve broken during their play and wrestling we need to repair or rebuild. Swings, platforms and climbing structures. 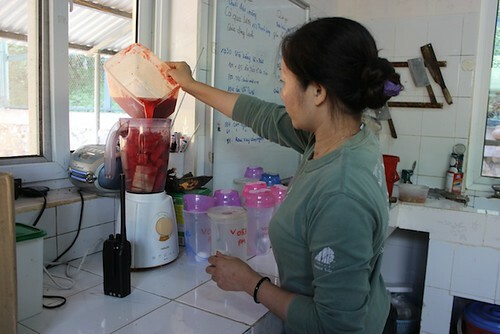 The cost of the bear care volunteer experience is US$500 (shared accommodation) and US$650 (private accommodation). This covers accommodation (six nights), all meals (breakfast, lunch, dinner in our onsite canteen) and all equipment needed to enjoy your experience on site. It does not include travel costs to and from the sanctuary.